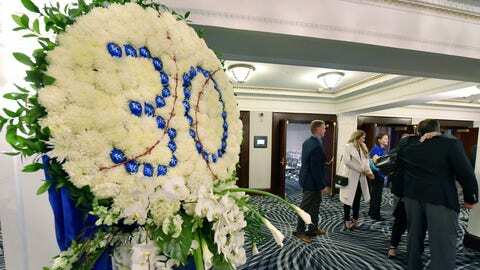 The Kansas City Royals will wear an “Ace 30” patch on their jerseys this spring to honor Yordano Ventura, who was killed in a car accident in his native Dominican Republic in January. The pitcher was just 25. Ventura was nicknamed “Ace,” an allusion to the comedy film Ace Ventura starring Jim Carey. Ventura wore No. 30 during his playing days. ESPN's Jerry Crasnick tweeted a photo of the patch. Ventura was 38-31 with a 3.89 ERA in three-plus seasons in the MLB.